This week was Tribal Waves annual prayer trip to all 7 of the Reservations in Montana and we had the privilege of going with them this year. Let’s just say it was probably the highlight of my outreach so far. God showed himself in new ways to all of us and we saw him moving through us. 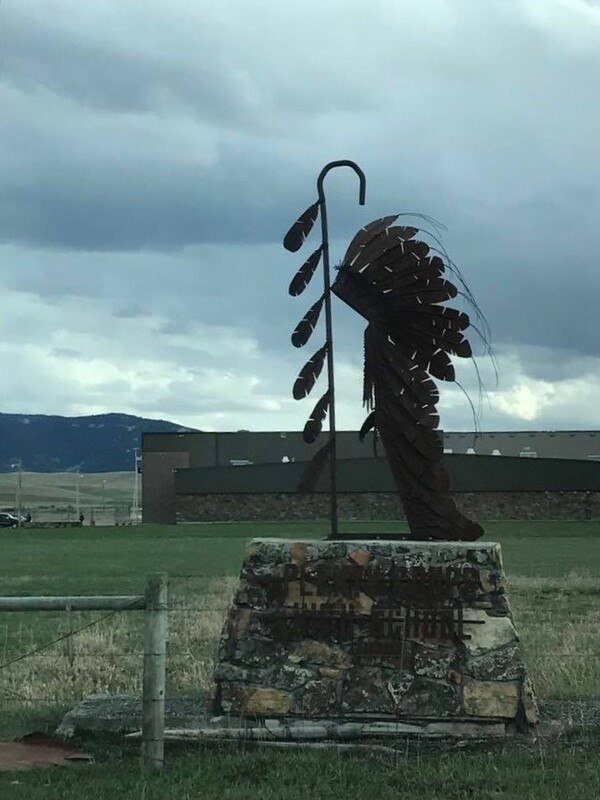 We left on Monday, March 27, and headed to the Crow reservation and stayed the night there before going on to the N. Cheyenne reservation where we stayed another night. From there we went to the Fort Peck reservation, then to the Fort Belknap reservation, and then on to the Rocky Boy reservation. Our next stop was Chester, which is not a reservation, but we did a Tribal Waves and Team Extreme show and stayed the night there. 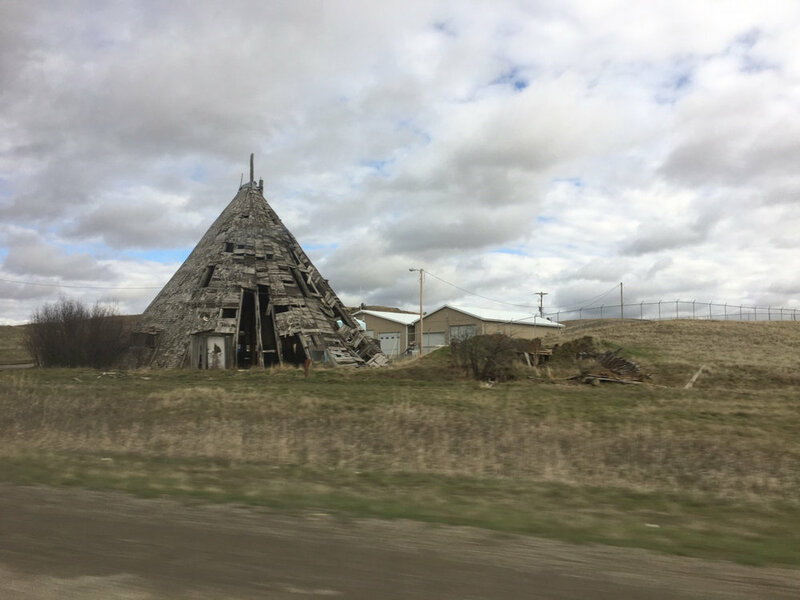 On Saturday, April 1, we headed to our last reservation – the Blackfeet reservation. We spent our last night there and then headed back to the base on the Flathead reservation on April 2. Because this was a prayer trip, prayer was a priority at every stop; at every reservation we either stayed at a church and prayed and worshiped with the people, or we just spent time praying over different places and people. And the cool thing is that every reservation had something different for us, they weren’t all the same. God showed up every time – even if it felt like he wouldn’t, like there wasn’t hope, he still showed up. So that’s just a brief overview of the trip and I would write all the highlights for each one but that might be a bit much so I’ll pick 1 or so. 🙂 The place where I saw God probably move the most was in N. Cheyenne in a really small town called Busby located in the middle of nowhere. When we first got there on Tuesday (3/28) in the afternoon, I got this feeling of depression and felt really down and out of it. It was because of the spiritual warfare there, and we found out a little later that there had been a lot of deaths recently in the community; this was common on the other reservations too. So after we had gotten settled in and talked with the pastor, we had a time of worship and prayer. Before worship and prayer, though, we were able to connect with the people there in a new, fun way. One of the young girls had a birthday, so we sang and did a dance for her, and then we somehow got into rapping. One of the staff, named Sam, from another team we were with was doing some funny freestyle rapping and somehow we decided to let him do a freestyle rap at the church – it was hilarious! Singing happy birthday and rapping before we started worship really opened the door to the people’s hearts there. It broke the ice; we had such a good time laughing with one another and that’s what softened their hearts. After we sang a few songs, we asked some of the youth (which were all girls) if they had any prayer requests for the area. At first they didn’t seem very open to it, but then one girl asked for prayer for her family because they just lost their grandpa. After asking her more about it, she broke down and started crying and we were able to pray for her and just be there for the family. I think when the other kids and even adults saw her vulnerability, it opened up their hearts. After she shared, people kept coming and asking for prayer one by one and by the end we had prayed for everyone but maybe 1 or 2 people in the church. During this time a young girl rededicated her life to Christ and forgave her mother, and later we prayed for a man named Dave (age 51) who we had asked if he wanted prayer. He came up and started crying and said he missed his twin brother who died a while back and we talked with him for a while and at the end he came to Christ!!! He said it was the first time that he had felt the presence of God and that we were different from others. At the end of the night, there was so much peace and comfort there. I felt so much better than when I had arrived. And I think one thing that opened the door for all this was when we sang “Happy Birthday” and rapped. J We did what we thought God was wanting us to do. Because of the heaviness of everything going on at the reservation, a normal worship service may not have allowed us to connect with people as well and been as impactful. I learned to be more open and if God puts something on my heart or in my mind, even if it seems weird sometimes, you got to have faith and trust him. Hello Everyone who is desiring to read this. I am currently at Ellerslie in Windsor, Colorado. God’s timing has been perfect for me to be here. I am enjoying the refreshing yet challenging time spent learning more about who Jesus is and how that applies to my life. The set-apart environment (one that is protected as much as possible from distractions) has been good for me to regain balance in my walk with the Lord. Last year was really stressful for me but this has given my time to process everything while encouraging my focus to remain on the Lord. As well as take me deeper in my relationship with the Lord then I have had before. Below is my session review from one of the sessions this week. We are to write one for each session to take ownership of what was taught and then how we see it applying to our lives. I hope that someone will find this encouraging, and be blessed for reading it. In a culture, that at every turn pushes independence, a Christian is called to live a life of dependence on Christ. A Christian is a glove and He is the Hand. Without the Hand the glove can do nothing. Yet with the Hand inside the glove can lift, bend, do and carry all the Hand requires. The glove is not using its own resources but rather the resources, strength and ability of the Hand. When a Christian tries to live a life apart from Christ it won’t be a life that points to Christ but rather will only point to what the Christian can accomplish. Which depending on who it is may look impressive but will not fulfill the highest calling of abiding in Christ just He abided in the Father while on earth. A Christian life should be one that when the world looks on they are dumbfounded and can find no explanation except that the Spirit of God dwells in that person. Too often I find myself thinking of ways to self-source. Ways I can accomplish what needs to be done without depending on God. This session showed me how every sin is rooted in self-sourcing. On a day like today when I know I won’t even be able to get out of bed without Him I know what dependence is. Yet even in this there is a part of me that thinks that is wrong, that I should be able to live without the need of others and God but this way of thinking is sin. Yes, the pain that makes it at times hard to move doesn’t need to be there for me to be in a constant mode of depending on God, to be responding to all He has but today I choose to use it as a reminder and thank God for it. My job is not to figure out how everything will work but rather take the steps as God leads depending on Him with each step. What about you are you finding rest in Him today by depending on Him and not trying to accomplish His work in your own strength? Thanks for taking the time to read this. May each one of you find hope as you look to the One who loves you with an everlasting love. The lake in town that we can walk around. A paved trail goes around the whole thing; it is about 2 mi. Beautiful place to walk or sit on the benches and do homework.